For this art which was used with ceramics it was really hard and I’m really proud of what I did because it was in the wheel at first. I thought it was going to be easy and fast but once I got my hands on the Clay and on to the wheel it was not easy. It was a struggle I had to restart the progress like seven times but at the end I ended up with something little like a cup or mug. I’m really proud of it because at least it turned out to be something and I know that if I have more time next time I will get better at it. This art was one of my most succful art to me because I put a lot of thinking to it and time. This art was kinda hard because I had to use oil pastel in with that I had to blend colors in it was hard to get the color I wanted. But overall this art was up in the state fair which to me that was a great thing because people saw my art in look at it I hope they enjoy it. Like I do when I look at it. For this paining I was really proud and I think it was the most successful .Because I love how it turned out I put a lot of time to it a lot of thinking and I also had a lot of challenges with it within making this painting. Like mixing the colors that I wanted making and tree .Using my teacher for resource was a good help to me she helped me throughout the progress gave me advice to what color to use and what not to use. This art to me means a lot to me just looking at it makes me peaceful and I’m very proud of it .I also feel proud of it because when I walked on the hallway yesterday a teacher told me he would buy from me to give him a price . This art meant so much to me that I wouldn’t sell it to anyone because these art is really precious to me and I could say for this semester this art was the best out of all. This semester has been really good in specially in art because it was new experience for me. I try different things and I developed new skills. I never thought I would be that good in art. But me putting my skills to work was a good experience because I achieve to make a lot of new things and within the progress. I learn new techniques in different ways to do art that I never thought we’re possible. And I had a great teacher who taught me different techniques like how too paint and make ceramics which was a really good experience for me and I would really enjoy taking this class next year to develop more my skills. 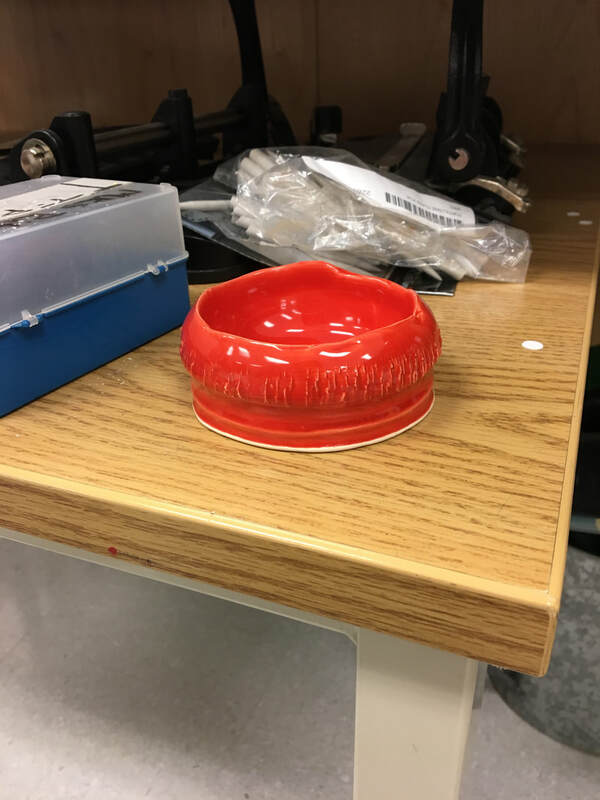 What was your most successful print? This printmaking was one of my most successful because I like how it how easy and I like how you just had to draw something fast in easy for it and the ink mixing was easy to. I like the color that it turn out to get. also making it with styrogami which drawing with that was easy in nice. o over - what was a print you would change if you could? This printmaking was made with screen printing which for me it was kinda hard because I didn't know what exactly to make and then I didn't know what to cut so if I could do this over I would and I would put more time to it and thinking to it. But I did like the color in the printing. But this for sure I would do it over. What is a printing technique that you enjoyed working with this most? This challenges was really hard too me I almost gave up on it because in the process for doing the ceramics mugs. one of the problem was learning how to center it. It took me a whole week just to learn how to center it . It was hard because the cray kept falling and not centering it was all going a other side. Another problem was trying to opening it up and starting to lifting it up which the problem was to keeping it not to go other side but at fist it was hard but on like my 7th tried I got it somewhat to what I wanted it to look like.Overall I changed my mind about doing the wheel I want to but the wheel takes time and I need to finish before christmas so I'm trying hand making because it seems faster and easier. But I think I was getting better at the wheel just need more time and practices something I don't have right now. But I do know that if I kept trying I would of got better at it. This art was something that i didn't really have to do a lot because their wasn't a lot to use because we could only use 2 cups and only glue and a little nifes. So I really didn't enjoy it but I like that I try it at least. For this painting we work as a group in each group there was 3 people. My group had different ideas but as a group we come together in one we all brought different ideas for this Collaboration Abstract Painting. 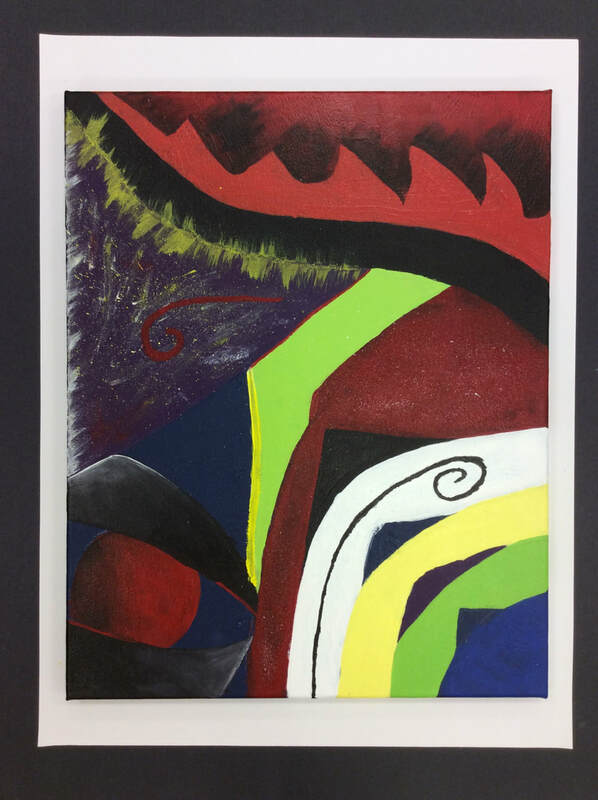 To make this painting it took time to think what colors we needed to choose because we need to make sure that each color blended right with each other . We had problems with choosing where to place some colors but we just solve them by trusting ourselves and putting them in the painting. we as a group observed how it was turning out each time we put more colors. overall me & my group work good and we like are final piece. These are my photographs that I took, at first I didn’t have in idea of how to take good looking pictures, but with what I learned in class about the rule of third and & cropping it really helped me with know how to make my pictures look better and pop out better. which those for this photos I went back in edit each one with the rule of thirds & copping each photo. My artwork is a waterfall, the subject of this art is to make it look nature living thing. My title is water fall because that's my main pieces in my art. The media I use for all of this art was oil pastels for my whole art & as my techniques it was more a image from google. This art help me with getting to use oil pastels more and blend in colors. This artwork overall turn out to be really good I though it wasn't going to turn out like it did but in my point of view is turn out good. 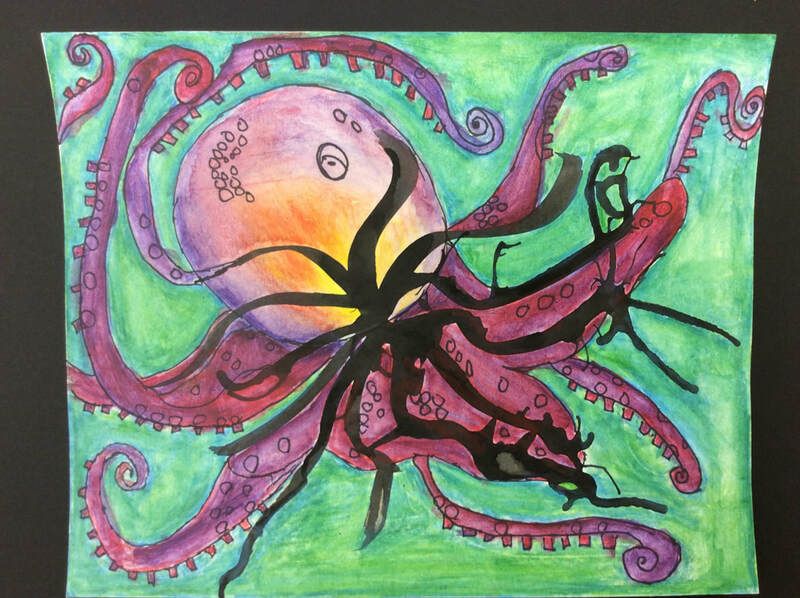 My art looks like a octopus. The colors i used were light blue,lime green,red,orange yellow and violet. All those colors blended with each colors. The elements were a lot of color that go together. Red & violet made a nice color. I'm a person that work hard for what i want. i keep trying even if i don't make it right the first time but never give up.